This deep, rich colour has been doing the rounds for quite awhile now but 2018 is set to be it’s biggest year yet in child and baby interiors. 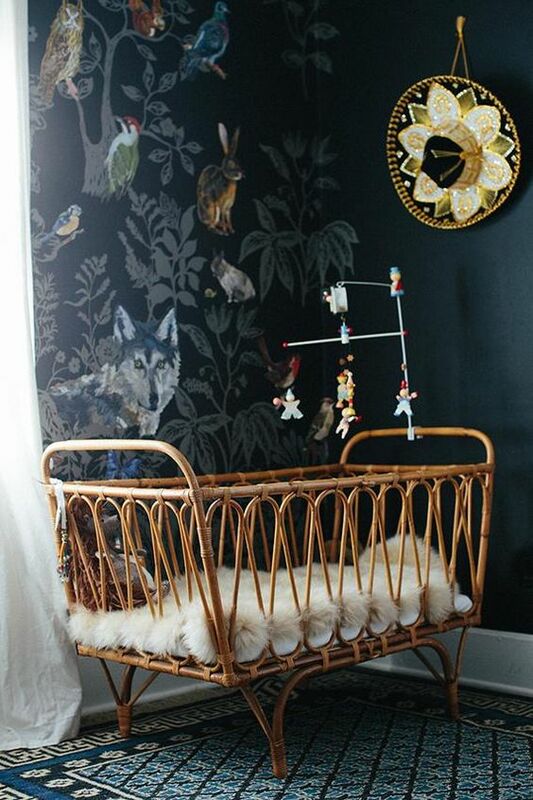 The best way to get this colour in your little one’s room is through the walls – opt for a midnight blue-infused wallpaper or simply give the first wall that you see when you walk through the door a coat of paint. The 80’s neons are back! Mix and match trendy brights throughout your little one’s bedding and scatters. Set some funky wall hangings and decals against a contrasting wall colour and you’re good to go! 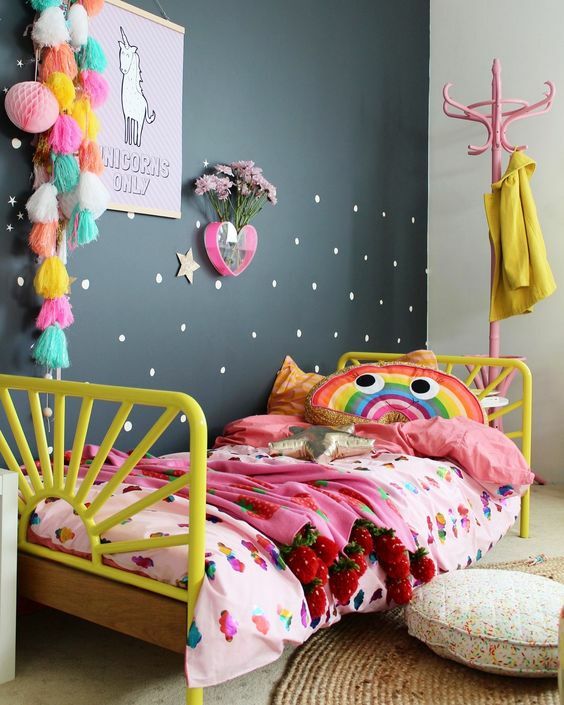 There’s nothing quite like the soothing calmness of pastels in a child’s room and the year they’re bang on trend. Combine misty pinks, blues and greys for girls and go for different hues of blues mixed with grey and a soft yellow for boys. This one is slightly more of a commitment, but definitely well worth it! 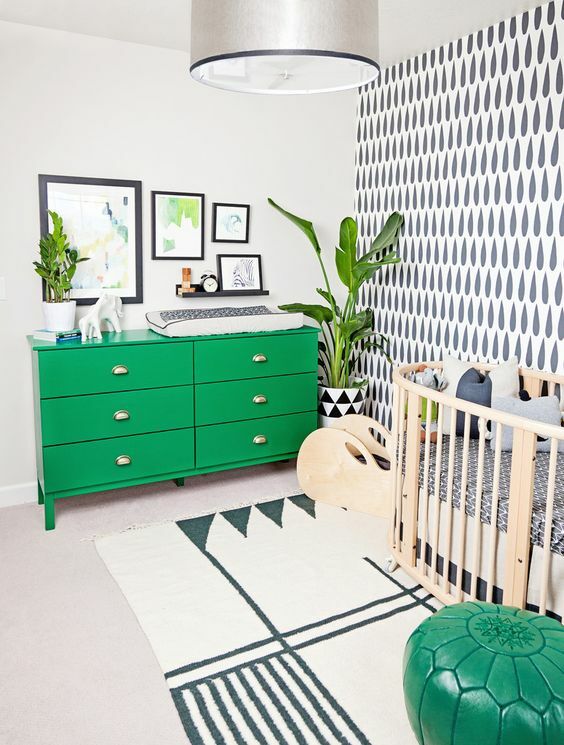 Opt for an exotic, jewel green in your little one’s room to create a space that they will relish in and never forget. Here it’s best to go for a monochromatic or neutral base and pair it with a few strong green accents such as a hand-painted compactum or chest of drawers. Bring in some lush greenery to even the colour out – they’re also a great way to purify the air in your little one’s space! What colours will you be using in your child’s room this year? 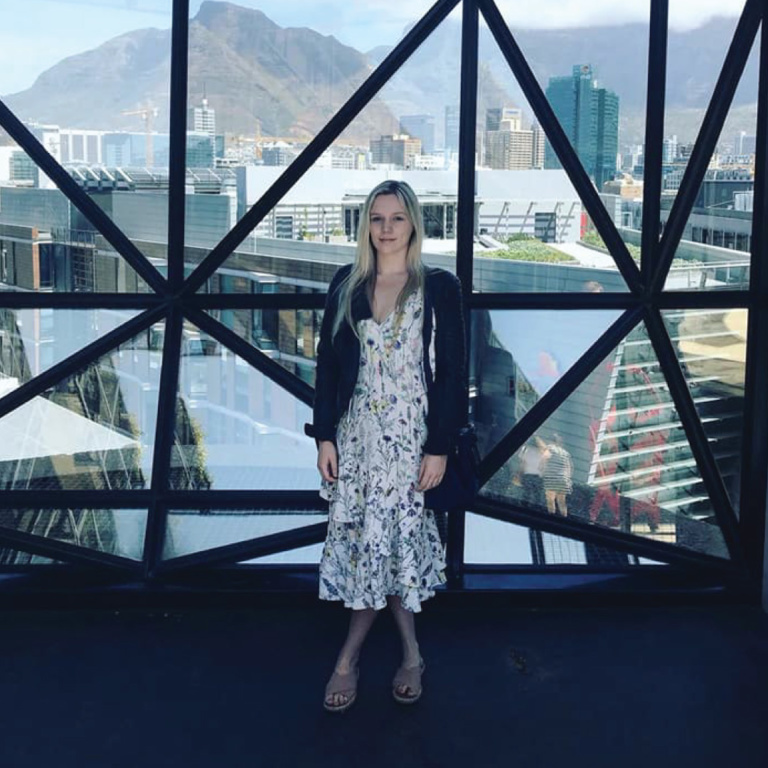 Welcome to the uber cool blog of Clever Little Monkey. We love all things design related for kids and baby bedrooms. Follow us for design ideas, product releases and useful information.